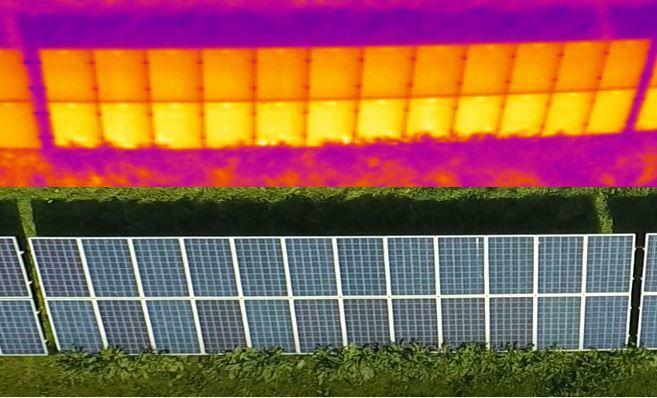 A clear example of how vegetation shading can cause power loss in solar modules. 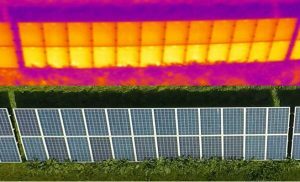 Plants growing around solar modules create shade on the lower solar cells, this can also cause hot spot heating. On our travels across UK solar sites, sheep are a common method used to keep on top of vegetation growth.